Service & Repair of Sanitary Equipment such as pumps, homogenizers, plate and frame heat exchangers. 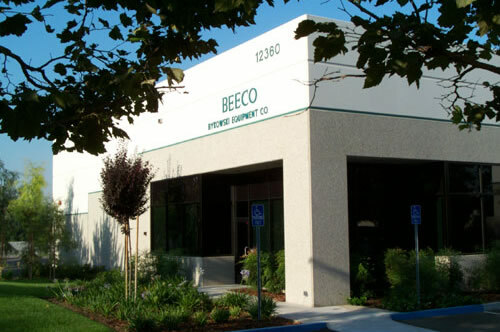 Located in Chino CA, which is within the greater Los Angeles area, BEECO covers the territories of central to southern California, Arizona, southern Nevada, and Hawaii. BEECO is a factory-authorized Master Waukesha Cherry-Burrell Distributor. Being the largest stocking distributor in the Southern California area, we are able to respond quickly with solutions to your liquid processing needs at a very competitive price! BEECO’s Engineering Department includes full time engineers and specialty project managers that are available for quoting and installation of new process systems in the food and beverage industries. Some of our most common quoted and installed systems are: HTST Pasteurization Systems, Steam to Hot Water “Hot Sets”, Clean-in-Place (CIP) Systems and Blending Systems. Our professional and experienced engineering team is prepared to answer your process questions and meet your quotation needs. At BEECO we take pride in what we do and have a fully equipped machine shop to handle your service needs. We offer service and repair on pumps, valves, plate and frame heat exchangers, clean-test-regasket, and many other sanitary service needs.